Joon Woo Maeng is currently building a 2nd S13 chassis for the Formula Drift Series. This will be a backup vehicle this year. With the expertise of Kevin Wells at LS auto, Chris Forsberg at CFR, and Sergio Ramirez the S13 have been stripped to its bare chassis. All extra brackets and metal that was not needed has been drilled out with a spot weld drill bit. 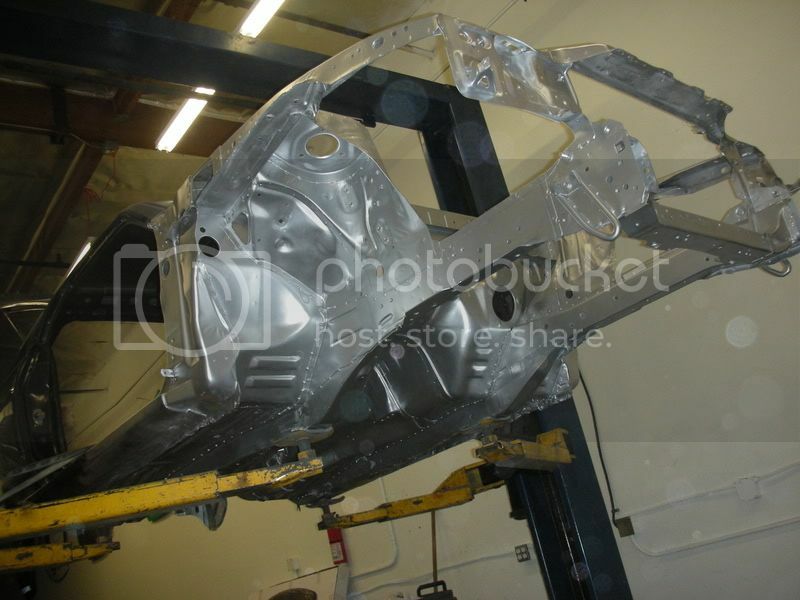 They grinded every square inch of the vehicle removing the tar / extra weight and reinforced the chassis. LS auto custom steering column was installed and it was 16 lbs. lighter than oem. It was scaled at 1,112 lbs without the engine, trans, driveshaft, bumpers, and doors. Now the S13 needs the life saving bars. Itʼs getting the cage put in by Lod at S-Empire. 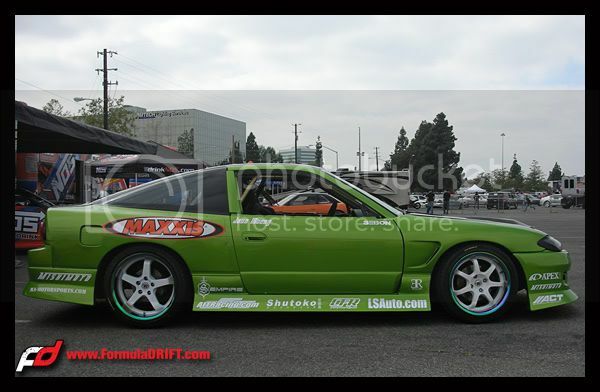 The primary vehicle for the full 09ʼ Formula Drift Series will be his personal S13.5. LS auto put an amazing setup / spec on the vehicle and will be performing better than ever. CFR made the S13.5 500 lbs lighter. The drivetrain is getting upgraded. 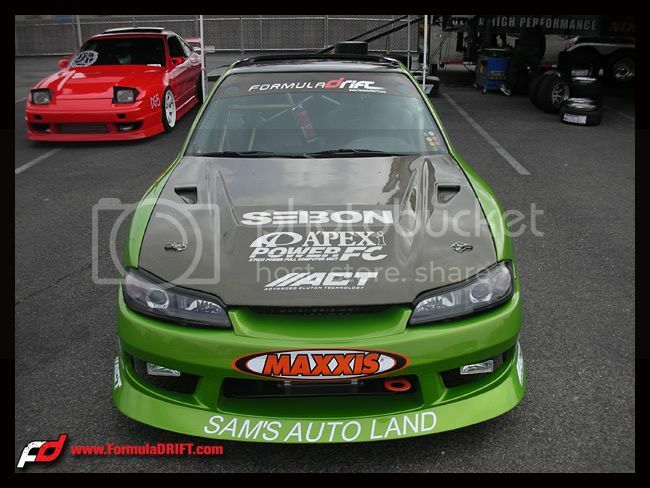 Samʼs Auto Land is painting the vehicle custom green. Ma-Motorsports arms and knuckles were installed for more angle. Seibon Carbon products and white wheels will be on the vehicle once itʼs out from Samʼs. Joon Woo Maeng is very excited to test out the new set up with the phenomenal Prolite ACT clutch system. He will be giving it his best out there as a privateer. 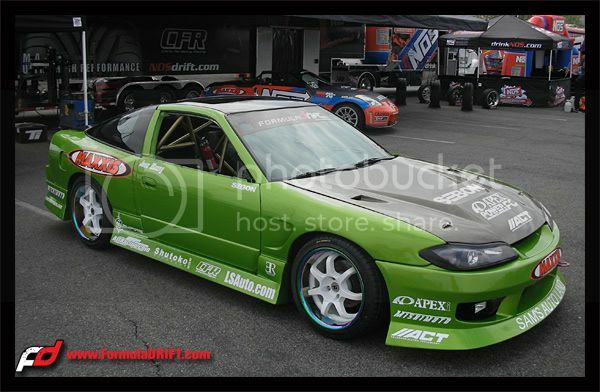 They would like to thank Formula Drift, LS auto, CFR, S-Empire, ACT, Seibon, Drift Alliance, ER evolution racewerks, and Ma-Motorsports for their on going support this 09 F.D. Season!